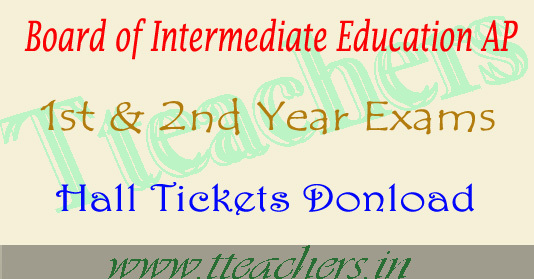 The Andhra Pradesh Board of Intermediate Education activated the link to download the Bieap hall tickets 2017 of the intermediate examinations which are going to be conducted by Board of Intermediate Education in the month of March 2017. The results of ap inter 1st year and 2nd year regular examinations will be declared in the month of May. The aspirants therefore can now download the ipe jr inter second year hall ticket 2017 from the direct link given below. The Bieap had been started in the year 2014 after the bifurcation of the AP when Telangana is separated from Andhra Pradesh. After the bifurcation the intermediate examinations were being conducted by both the states separately. This year the Bieap decided to conduct the intermediate examination from 1st march 2017. Hence, the intermediate examinations for all the groups will began from the same day and will last till 18th March 2017. Students pursuing Jr Intermediate or Sr Intermediate in the state are waiting for the Bieap hall Tickets 2017 as the exams are very near. Bieap hall tickets 2017 will be available soon to download on the official website of the Board. 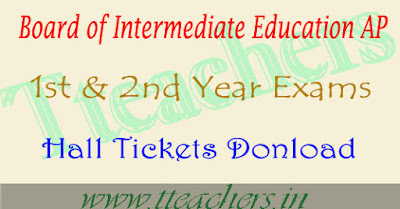 AP Intermediate Hall Tickets for all the groups can be downloaded through official website. We request students not to delay and download the Bieap hall tickets as soon as possible well before the examination to avoid server problems in the last minute. Students can directly download the Bieap hall tickets easily from the links provided here.